STARRING ANNE HATHAWAY AND MATTHEW MCCONAUGHEY! Steven Knight directed the movie! January. Matthew McConaughey stars as Baker Dill a fishing boat captain leading tours off a tranquil, tropical enclave called Plymouth Island. 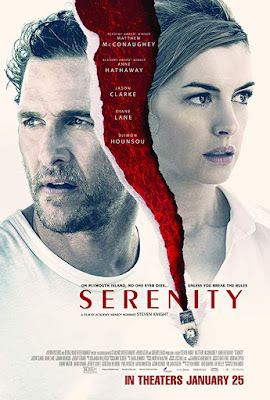 His quiet life is shattered, however, when his ex-wife Karen (Anne Hathaway) tracks him down with a desperate plea for help. She begs Dill to save her, and their young son, from her new, violent husband (Jason Clarke) by taking him out to sea on a fishing excursion, only to throw him to the sharks and leave him for dead. Karen's appearance thrusts Dill back into a life he'd tried to forget, and as he struggles between right and wrong, his world is plunged into a new reality that may not be all that it seems. cinemas October 19th and then move to Europe next February. 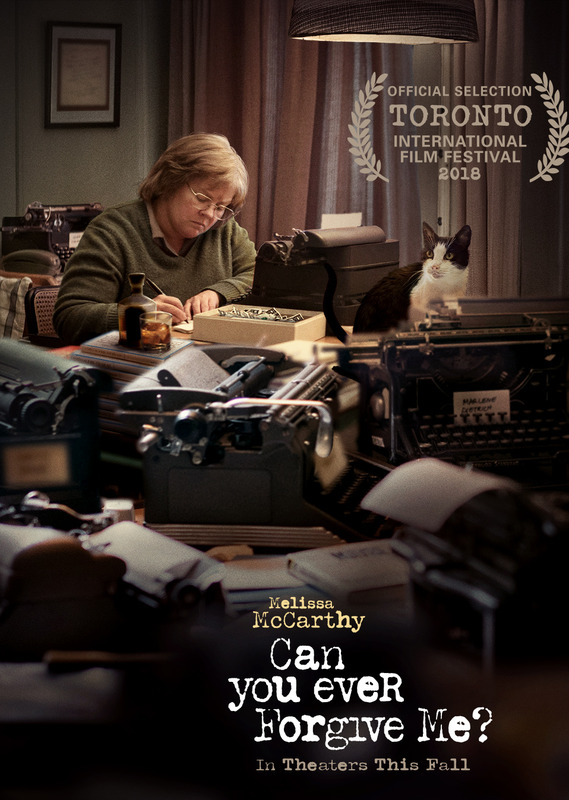 Melissa McCarthy plays Lee Israel who made her living in the 1970's and 80's profiling the likes of Katharine Hepburn, Tallulah Bankhead, Estee Lauder and journalist Dorothy Kilgallen. When Lee is no longer able to get published because she has fallen out of step with current tastes, she turns her art form to deception, abetted by her loyal friend Jack (Richard E. Grant). The movie is an adaptation of the memoir Can You Ever Forgive Me?, the true story of best-selling celebrity biographer! 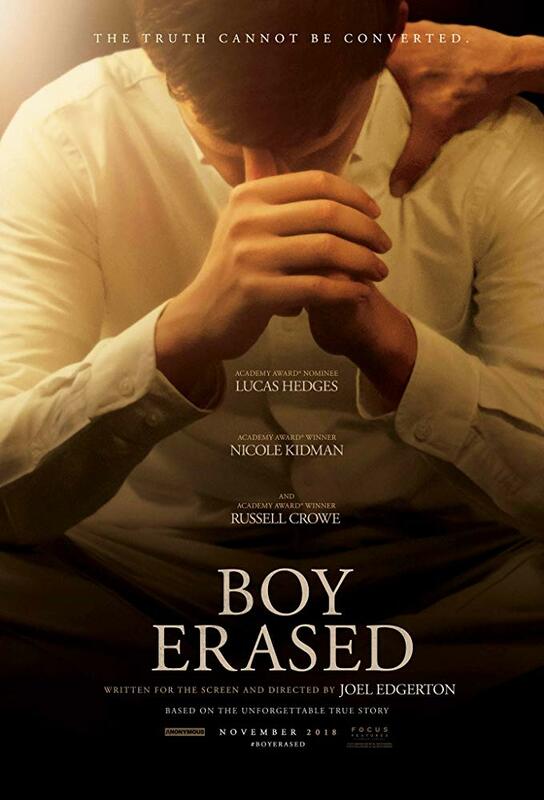 Starting its cinematic life in Northern American theatres November 2nd and then moving around the world throughout the winter to reach Russia in March, is touching drama BOY ERASED based on the memoirs by Garrard Conley. It is written and directed by Joel Edgerton who also stars in the movie next to Nicole Kidman, Russell Crowe and Lucas Hedges who takes the lead role of the son of a Baptist preacher who is forced to participate in a church-supported gay conversion program after being forcibly outed to his parents. Russell and Nicole, Australians who have never worked together before, play his parents. Most states in America still haven't banned gay conversion therapy!